The Three Horseshoes, in the heart of the Lincolnshire Wolds is a glamping retreat and occasional wedding venue at our countryside pub in Goulceby. Available throughout the year our variety of glamping experiences offer plenty of space, choice and luxury creating the perfect break in the peaceful surroundings of the Lincolnshire Wolds. An ideal place to explore Louth and Horncastle, The Coast, Cadwell Park Racing Track and Lincoln. 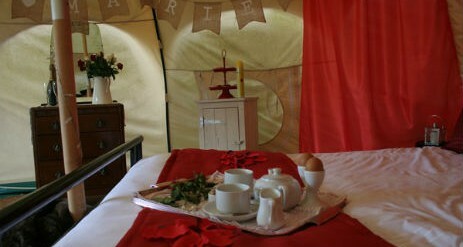 Some of our glamping is for summer only and some are available all year round. We have a brilliant choice including Dolly, our new lodge pod with ensuite facilities, Issabelle and Issabella our two star shaped lotus belle tents, Big Eddy and Little Teddy are family friendly ready tents and Clairy is our continental tourer caravan, now relocated with its own decked veranda. 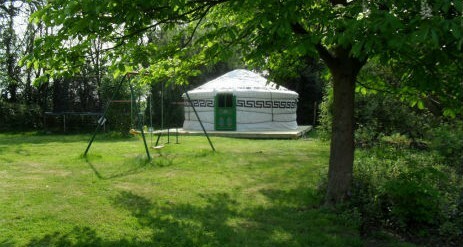 Our new and beautiful Wa Wa Yurt resides in a very private area. Each have their own quirks to suit different people whether you are here with friends, family or just your partner or even on your own. Whatever the reason you visit here our aim is the same; to make you welcome, feel good and leave happy. We have a dedicated team and a great bunch of locals creating a friendly welcome and warm atmosphere leading to many happy holidaymakers and visitors. Fantastic views over the Lincolnshire Wolds countryside awaits with plenty of pitch and play space. Most of our accommodation can be hired from one night or longer but they are cheaper the longer you stay. Try our new Authentic Mongolian Yurt set in its own private secluded area. Beautiful design, ornate latticework, traditional painting and all year insulated with traditional sheep’s wool, keeping this tent in tip top condition whatever the weather. Our yurt resides in its own secluded area, a very private glamping experience. It comes complete with bedding, furnishings, woodburner, electric supply, its own BBQ and firepit. We also include your own exclusive retro van which has been converted to create a private kitchen and toilet nearby. Sold by the night but for best value book for 3 nights or more. Available from Easter 2017 then throughout the year. 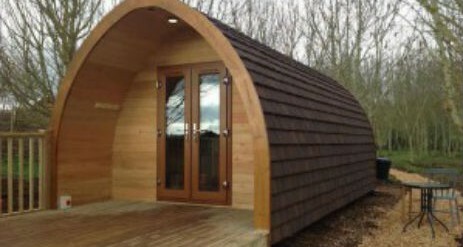 Beautifully designed, high end pods fitted out glamping style. 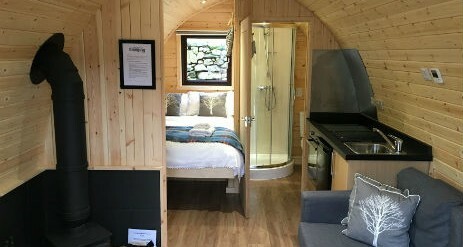 Ultimate luxury with “Dolly” our ensuite glamping lodge pod with woodburner. 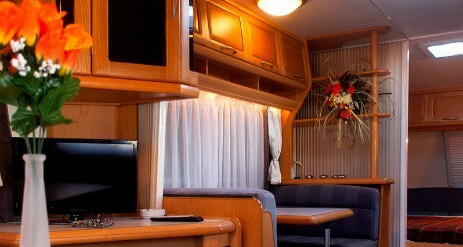 Heated and Insulated so its snug and comfortable ALL YEAR and equipped with ensuite facilities. Available to hire one night or longer throughout the year. For romantics our two star tents, Issabelle and Issabella offer a sumptuous and stylish under canvas glamping experience. 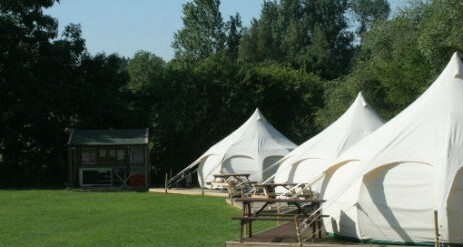 We have two of these tents and they are a cross between a bell tent and a yurt creating an airy and spacious interior. The star tents have a beautiful design, cosy fixtures and offer an amazing experience. Big Eddy and Little Teddy are pre-pitched eurotents perfect for a quick and easy hassle free camping trip for a larger family or group of friends. Fully equipped and sleeping up to 6 in 3 separate bedroom areas in Big Eddy and 4 in two separate bedrooms in our smaller tent, Little Teddy. Available to hire from one night onwards. 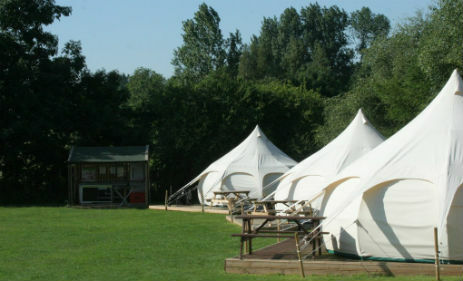 Our unique venue lends itself to creating exclusive campsite hire packages for glamping and camping groups looking for rallies, family gatherings and get togethers. All weather Indoor camping over the winter – 8 pop up tents inside a marquee! Exclusive campsite and glampsite hire for weddings with a marquee and pub. Completely unique hen weekends (not riotous ones, glamping ones!) Use us for accommodating your group visiting Cadwell Park – great for track days. We have a pub. Its a typical countryside pub. Friendly locals, good food and not rowdy. For complete relaxation try our food at our pub. We have an indoor space in part of the pub for our guests to relax in without needing to buy into the beer thing. There is a shop in the pub too. We are rural diversification fanatics! We are in an AONB, The Lincolnshire Wolds. Its pretty and has lots of walks.